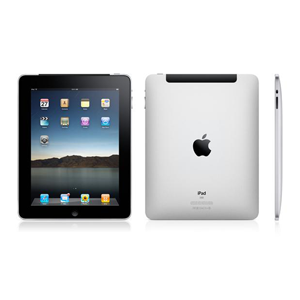 iPad is a touch screen device that functions like Apple’s iPod Touch or iPhone but is the size of a netbook with a 9.7” screen. Two main things that were added to the iPad 2 with applicability to Accessibility were FaceTime and PhotoBooth. VoiceOver on the iPad also gives you information about your device – including battery level, network signal level, and time of day. It also lets you know if the screen display changes to landscape or portrait orientation and when the screen is locked or unlocked. 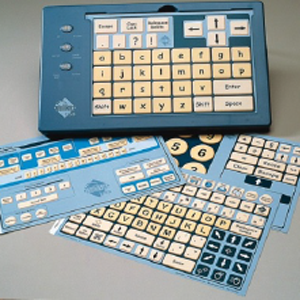 Thanks to the intelligent keyboard with predictive text, autocorrect and autocapitalization, a lot of the work is taken out of typing. 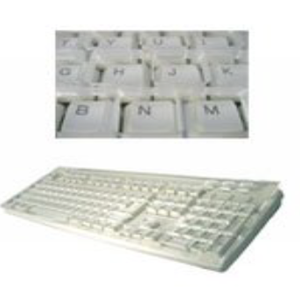 Speak Auto-text lets you know what corrections it’s making, and you can choose to accept those changes by pressing the spacebar or you can keep typing your intended word to override Auto-text’s suggestion. Persons who have experienced hearing loss in one ear can utilize the mono audio feature, which allows users to hear the left and right channels’ audio in both ears. Those who are extremely hard of hearing can utilize the iPad 2 FaceTime feature to video chat with others where hand gestures, visual cues or dry erase boards may assist in the conversation. Closed captioning and subtitling are also available on movies purchased from the iTunes Store. By running various applications, the iPod assistive touch becomes a tool with virtually limitless solution! 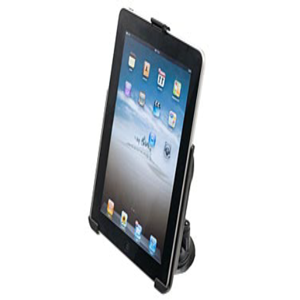 This product provides strong and stable mounting for your iPad 1 or 2 in either portrait or landscape orientation. The cradle securely holds the iPad steady while it’s in use and still provides access to all controls and jacks. 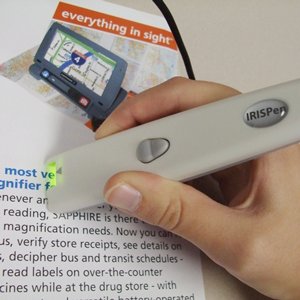 The IRISPen Express 6 Pen Scanner is a portable, hand-held scanner that works just like a highlighter. 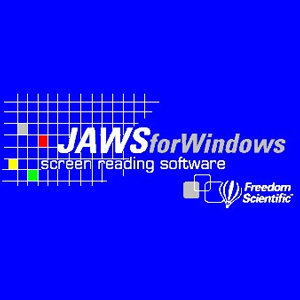 You simply slide the scanner over virtually any printed text, and the text is automatically scanned directly into your computer. Ideal for remote research projects or any task in which a flatbed scanner would prove too cumbersome, this pen-sized scanner operates at a rate of over three inches per second and recognizes 128 languages.